All Greenbackville homes currently listed for sale in Greenbackville as of 04/24/2019 are shown below. You can change the search criteria at any time by pressing the 'Change Search' button below. If you have any questions or you would like more information about any Greenbackville homes for sale or other Greenbackville real estate, please contact us and one of our knowledgeable Greenbackville REALTORS® would be pleased to assist you. 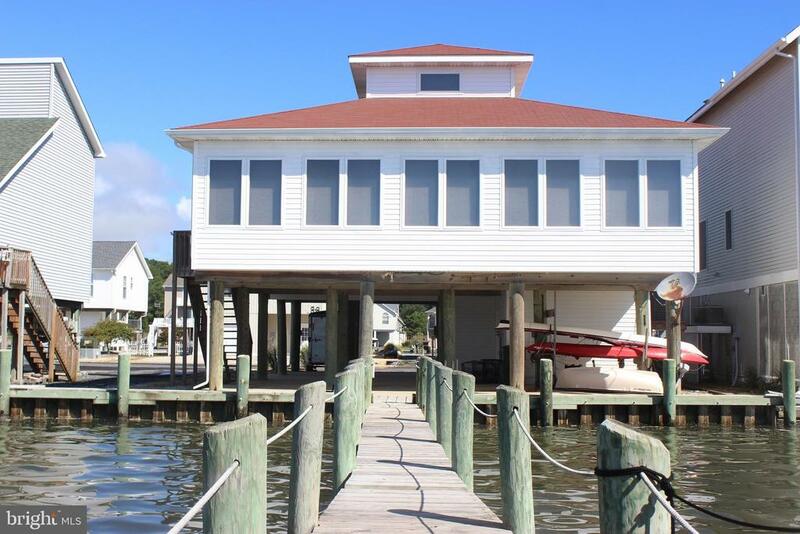 "1/980 Direct Chincoteague Bay waterfront home with 3BR, 2.5BA, 2113 sq ft., Pier w/Boat Lift, 14 X 12 dock and the Chincoteague Bay is your backyard just waiting for you to come and enjoy all your watercraft sports. Thinking about dinner, catch crabs from your own private dock. Views that just don't stop~this is Eastern Shore Living at its best! Main Living level includes oversized Sunroom w/Fireplace w/ access to Screen Porch, LR, Dining Area, MBR and additional BR and BA. Oversized Bedroom on upper level. Plenty of storage area: 16x15 with a half bath and another 8X11. New HVAC 2018, Refrigerator & Grinder Pump. Concrete area under the home. Make sure you check out all the amenities offered at Captains Cove, golf, pools, fitness center, boat ramp, playground, basketball & more." "3/1332 Just like new and ready for you to enjoy living in a Waterfront & Golf community on the Eastern Shore of Virginia. 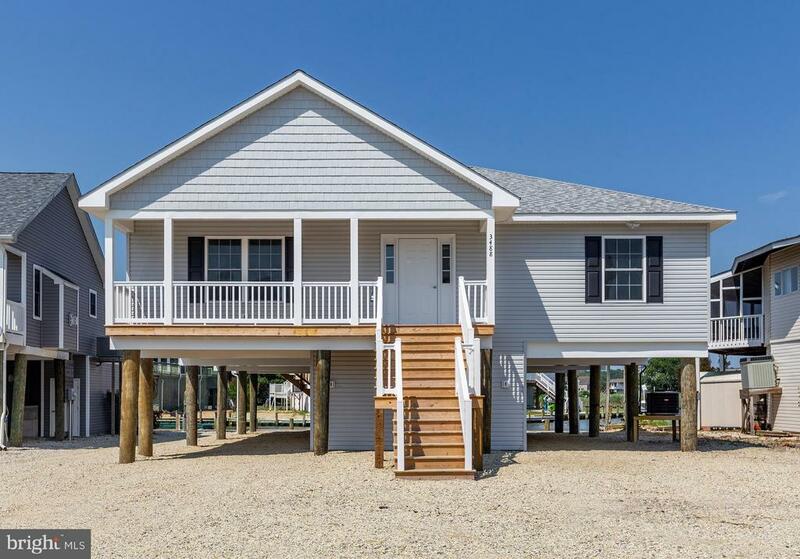 Home features open/split floor plan with large kitchen, Quartz counter tops w/Island Bar, Dining Area, 9 foot sliders that lead out to a private screen porch, separate laundry area, 43~ open deck across back of home, storage room, new vinyl bulkhead, boardwalk and more. Upgrades include Approx. $20K over Builders Standard. Chincoteague Bay views with Lighthouse and Wallops Island views. Thinking about dinner, catch crabs from your own private deck. This is Eastern Shore Living at its best! 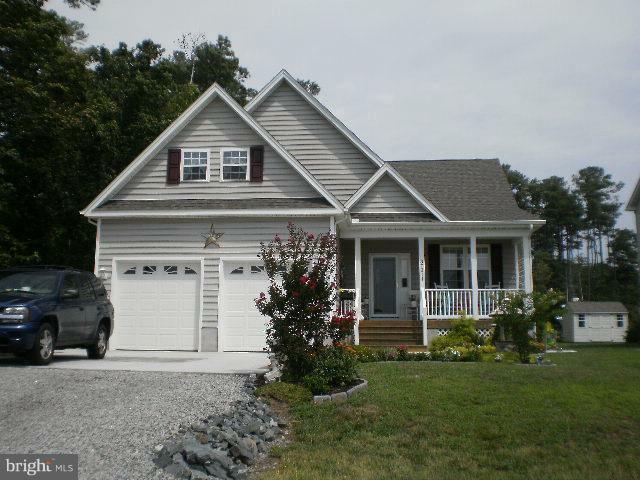 Captains Cove, Golf & Waterfront community located on the Chincoteague Bay. HOA dues include FREE golf, indoor & outdoor pools, fitness center, basketball & tennis courts and more"
"2/127 Beautiful Cape Cod situated on a large private setting nestled on a Pristine Golf Course in Captains Cove. Bright, spacious, open, this home should fit all your needs for your next place to call home. Large Living area that leads to open kitchen that has recently been renovated from cabinets to counter tops. Kitchen leads to a bright open Sunroom with views of the golf course, just off the Sunroom is a Screen Porch and Open Deck where you~ll enjoy cooking on the grill. Master BR located on the first level with spacious bath. Two additional bedrooms upstairs with a sitting area and 3rd full bath. Garage is oversized (23x25), insulated and drywalled. Concrete Driveway. Furnishings are available for sale and adjoining lot 126 is also available for sale. Call today." "Great house at a great location. Three bedrooms, two bathrooms. Kitchen has nice granite counter tops. Master bedroom with walk in closet. Master bedroom has attached enclosed porch which leads to the rear deck. Living Room fireplace conveys. Nicely landscaped with paved driveway. Shed on site. Living room is carpeted. Kitchen and dining room are wood. Includes access to pier, dock, tennis court, three pools, boat slips, basketball court, golf course, restaurant, playground, and a lot more. Finished garage with heat completes this beautiful home. Home built by Mason Quality Homes. One owner. 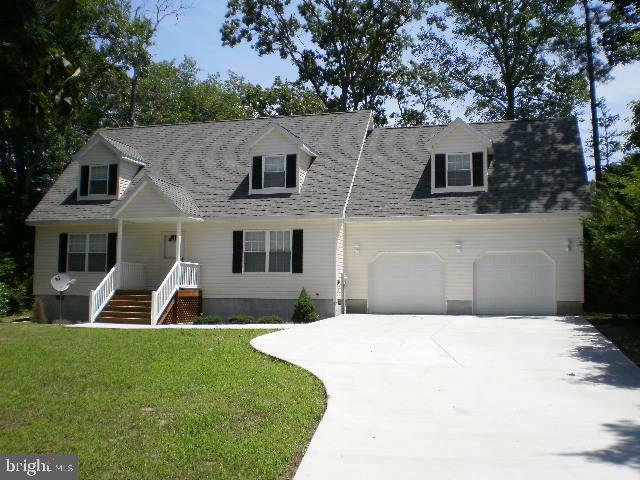 Please include this home with your tour of homes in Captain's Cove." "2/260 New Construction on Pristine Golf Course by J&A Builders LLC to begin Feb 2019, a must see! 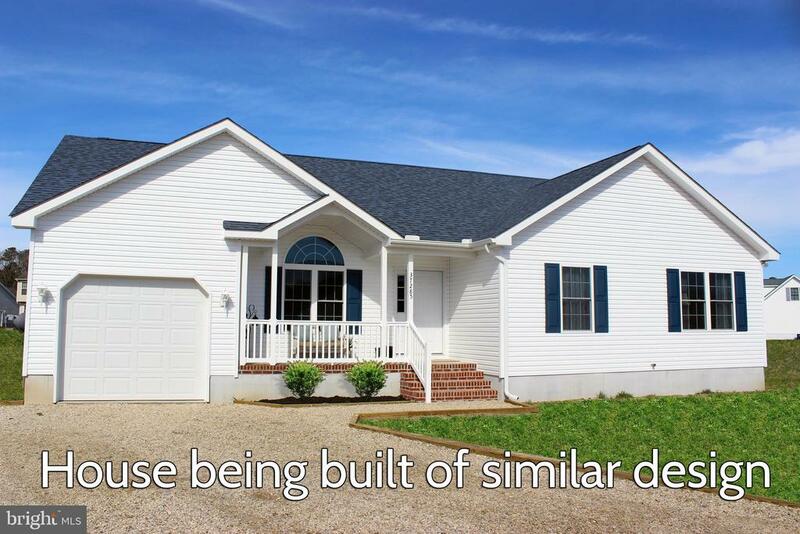 The Dolphin 2012 Model, One level living offers 3 BR/2 BA 1496 sq ft., separate laundry room, 1 car garage, 10 X 12 screen porch, concrete front porch, conditioned crawl space, Low E Windows and more. Model available for showing by appointment. All appliances are included or allowance of $3310 to pick you own. Still time to pick colors for cabinets, counters, flooring , etc. Captains Cove is the fastest growing Golf & Waterfront community on the Eastern Shore of VA. Check out all the amenities, HOA fees included FREE golf, indoor/outdoor pools, fitness center, tennis & basketball courts, etc. Call for your showing today. Photos are of similar design of home to be built, upgrades not included."